This creamy carrot soup is luscious and satisfying. These few ingredients meld into a rich, sweet, and deeply savory cold weather treat. Serve with a hearty, crusty bread to dip in the soup or sop up the last drops at the bottom of the bowl. Scrub and chop carrots. In a large pot over medium-high heat. Melt the butter. Add the onions and cook, stirring, until the onions are soft, about 3 minutes. Add the broth and carrots and bring to a boil. Lower heat and simmer until the carrots are tender, about 25 minutes. 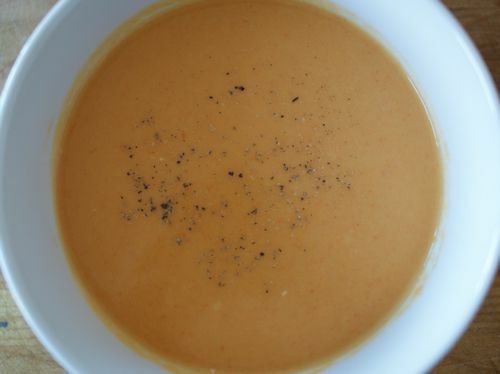 Whirl soup in a blender or food processor until smooth, or blend with a hand-held blender in the pot. Stir in cream and heat over low until hot. Season to taste with salt and pepper.